Ok, so here’s the deal: I just made this amazing truffles and they are dee-licious. And have I mentioned that they are super-duper healthy? Oh yes, they are. And they are delicious too. 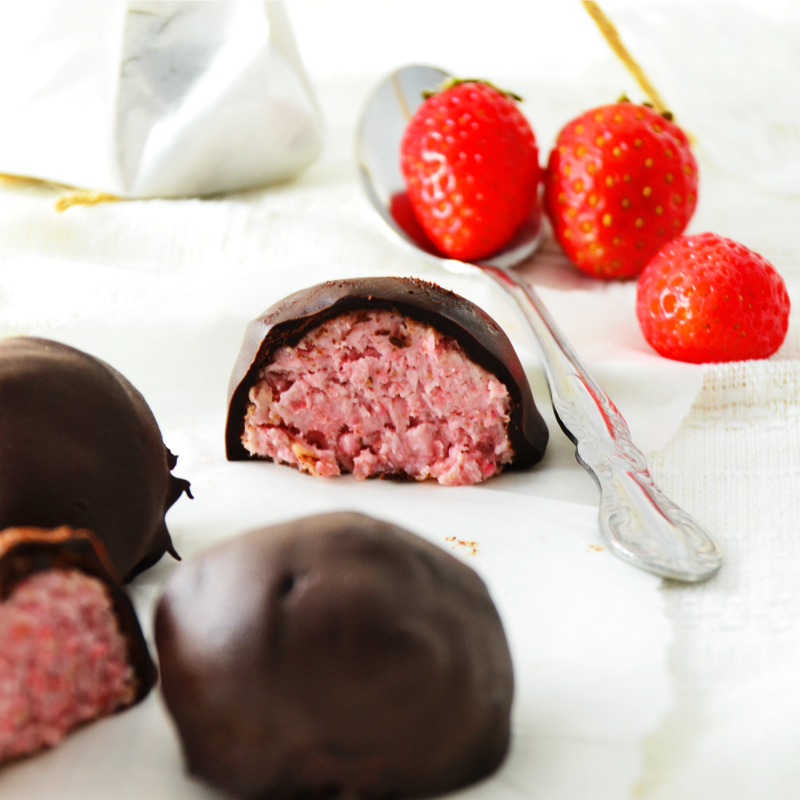 I think I’m repeating myself…but I have two words for you: Strawberry Truffles. These beauties happened only because last week we went for coffee on a little cafe near our place and this farmer rocked up with some fresh goodies, like avocados and berries. But the strawberries were just way too pretty to look away. So I grabbed it and the rest is history. Ok, I’ll tell you what happened. I was really looking forward to make something with those fresh strawberries. I mean, look at them! Just too good not to shoot right? And because Mother’s Days is coming (tell me you didn’t forget please), I thought: why not? And these truffles were born. 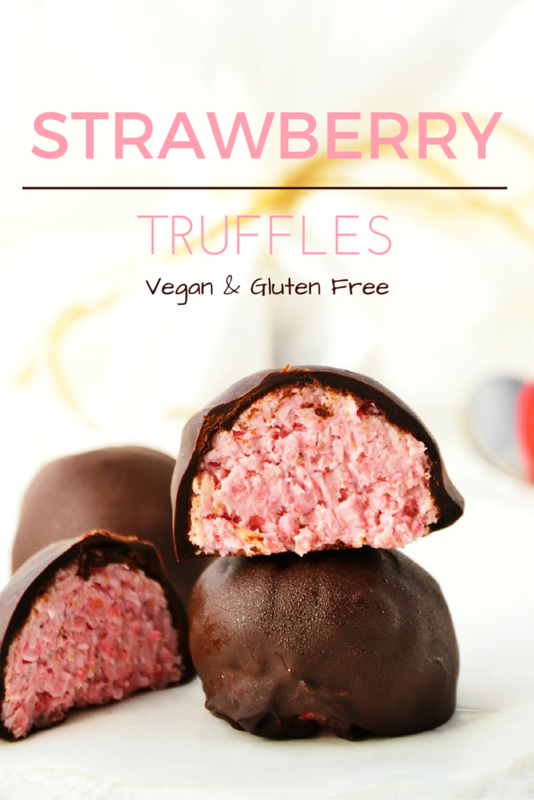 And not only these Strawberry Truffles are extremely light and delicious, they taste like the real deal. Fresh strawberries, slightly tart, and slightly bittersweet with all the dark chocolate punching through. Oh god…so good! 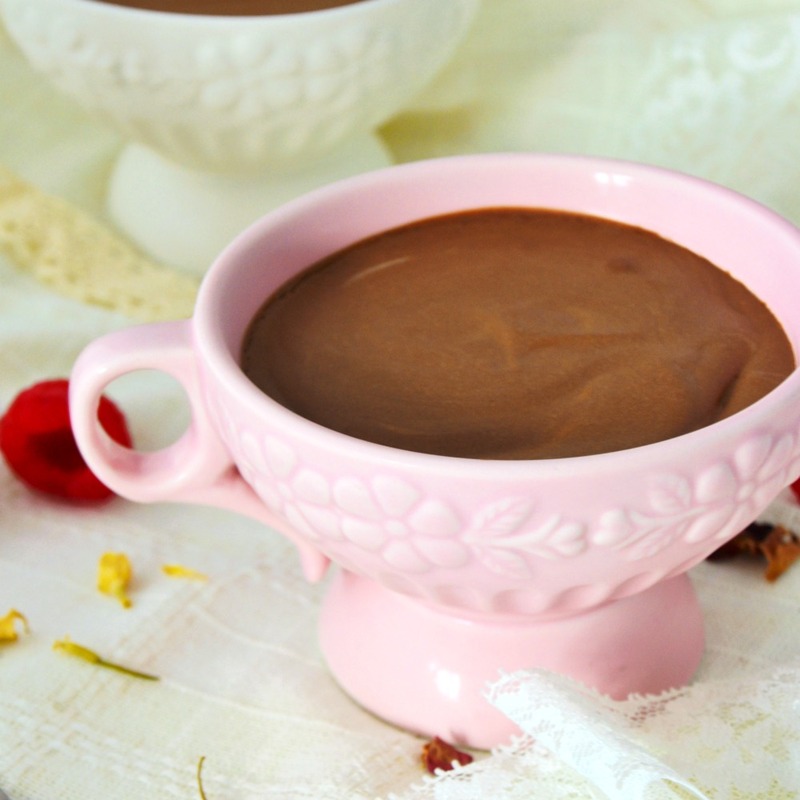 If you are looking for an special dessert that is extremely easy to make and got all the goodness of real ingredients, this is it. Look no further than this page. Best of all: its made with only 6 ingredients!!! That’s it. All healthy, clean and good for you. Even better: they are raw, so no cooking involved at all. And no need to worry about complex techniques just to make a dessert taste good. It’s quick & easy. Just the way I like it. 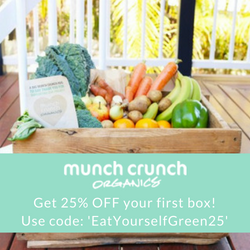 So, in case you need something to give for Mother’s Day and haven’t got much time left…here’s your chance to impress without compromise on taste and goodness. In every sense of the word. 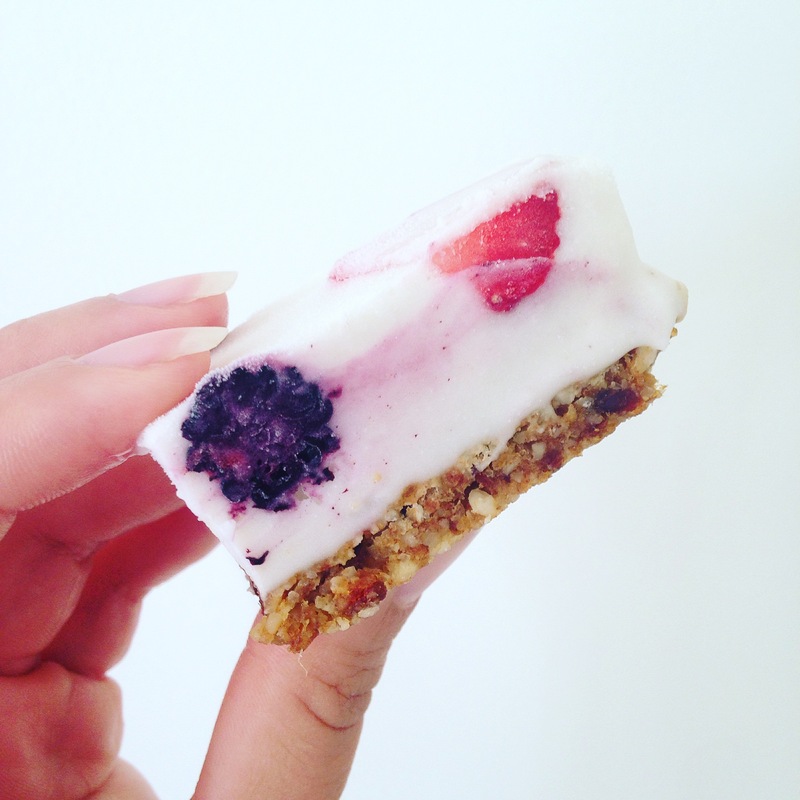 I hope you love this super delicious/quick/healthy recipe as much as I loved making (and eating) them. 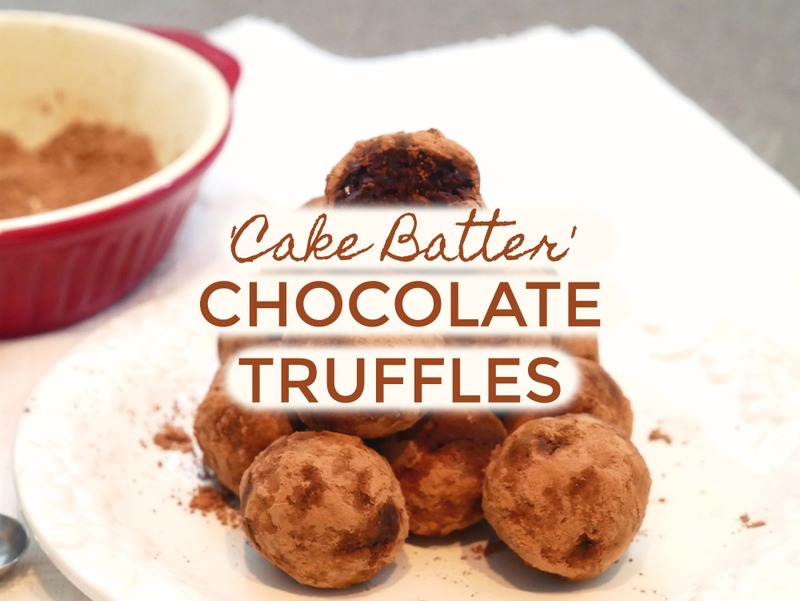 Simple and utterly delicious truffles that are quick to make and full of goodness. Wash the strawberries well and pat dry them. Add all ingredients in a food processor but the chocolate. Transfer to a bowl and put in the freezer to set for 10-15 minutes. Meanwhile, melt the dark chocolate in bain-marie. 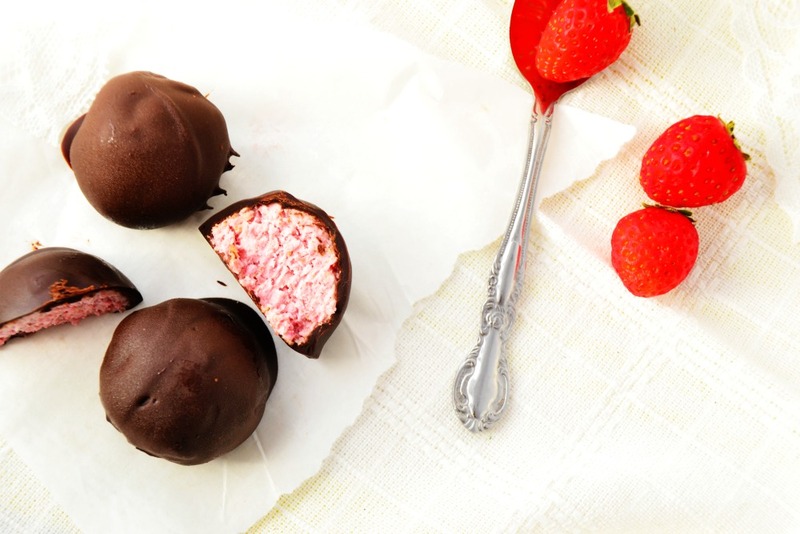 Remove the strawberry mix and using a spoon, make small balls. Once all mixture is used, prepare to cover the balls in melted chocolate. Use a fork to help with the process and cover all balls. Set on a baking paper and put in the fridge for 30 minutes before serving. Keep them in a sealed container. And I hope you have a lovely day Mother’s Day. No matter if you have your mother around or 15.000km away from you (like mine). Make sure to show your love and send lots of beautiful vibes her way.